They’re in vogue: Mobile devices in the lab that communicate directly with the Laboratory Information and Management System (LIMS). 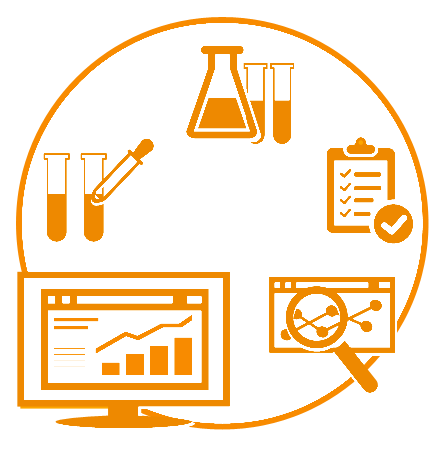 The installed software provides functions from the system, similarly to an app, as an application – for recording data and documentation purposes during sampling at the business establishment, in the field or in the laboratory. But how are these mobile helpers actually used in everyday lab work? And what is their acceptance among users like? The example of the cutting-edge central lab in Melsungen at B. Braun Melsungen AG, one of the leading manufacturers of medical technology and pharmaceutical products, illustrates what daily work with mobile data might look like. B. Braun Melsungen’s Life Nutrition plant develops and produces nutrition solutions for the world market. 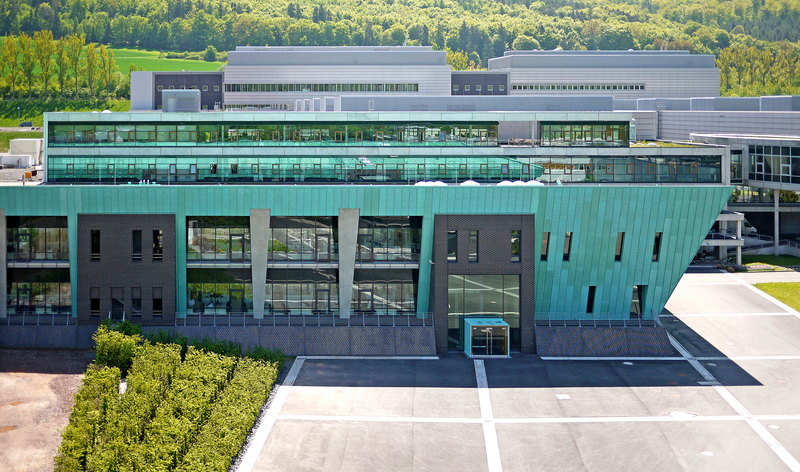 The Life plant at the Melsungen site of B. Braun Melsungen with the central laboratory in the foreground. “I like my work,” says Martin Bromer, a laboratory technician at B. Braun. 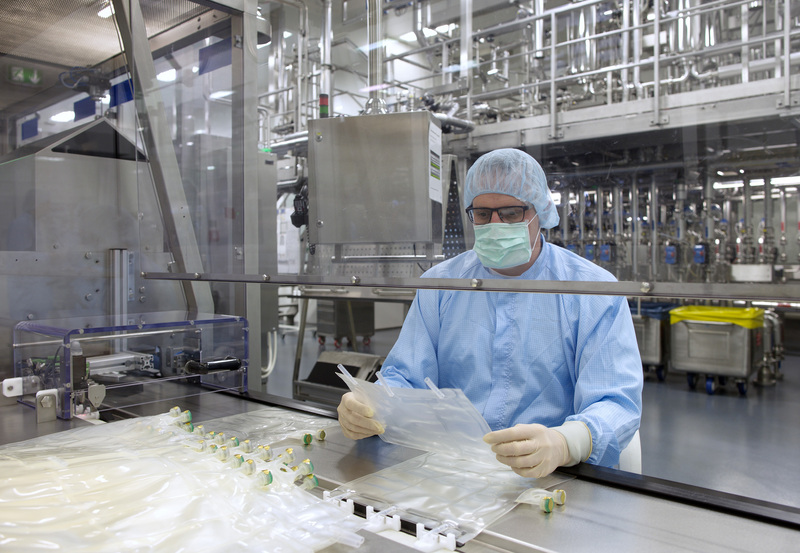 He is examining a saline solution for intravenous infusion made at the Melsungen plant. These and many other samples are handled at the central lab. All the products that leave the plant undergo extensive quality and stability tests. Among other things, documentation and traceability are vital so that the stringent regulatory requirements in the pharmaceutical industry can be met. Not only the test method must be assigned to each sample, but also the test equipment and devices, as well as the chemicals used. That seems a huge amount of work at first sight – especially if the data needed to be recorded on paper and transferred to the system. Such a procedure would also be prone to error. That requirement has been solved efficiently and, above all, in a user-friendly way in B. Braun’s lab: Martin Bromer first scans the sample with a hand-held device. The application on his mobile device shows him the test method, after which he scans the code on the chemicals to be used, the test device and all other test equipment. The data is transferred via the lab’s Wi-Fi directly to the Laboratory Information and Management System, where it is stored securely. Martin Bromer likes his work, since he can focus on what counts: Ensuring the high quality of B. Braun’s products at the lab every day using sophisticated test methods. By the way, the third generation of the hand-held devices is already in use at B. Braun. The mobile helpers were rolled out back in 2003 so that the steadily rising number of samples in the climatic chambers used in stability tests could be handled efficiently. That is because chemical and physical stability, in particular for infusion solutions, are a must. The samples come directly from production and are sent on a climatic tour of the world in the special chambers. That is the only way to ensure that the solutions produced in Melsungen can also fulfill their vital purpose reliably in the desert or jungle, for example. A lot of containers of many different shapes and sizes, along with a large number of testing-related factors, mean that a huge amount of data is generated – and it is handled and documented with the LIMS and mobile devices with hardly any paperwork. The mobile applications are now an indispensable part of everyday work at the lab – whether at the workplaces there or in logistics, which handles the retained samples and acts as the central hub for receiving samples. The samples arrive there from production via a refined transportation system and are likewise uniquely identified and recorded in the system by means of a barcode. This system has grown and been constantly optimized over the years. The LIMS from the Bochum-based company t&p has likewise been deployed since 2003 – and the latest version lisa.lims 10 is now used. And it will continue to grow and be adapted continuously to growing requirements in close cooperation with its users. The ideas of the employees who use the mobile devices in their daily work are especially valuable in that. One of the next steps will be to assign photos to the samples – taken by a camera built into the device. That has already been possible by manually uploading photos from a digital camera, but will be simpler, more secure and faster in the future.